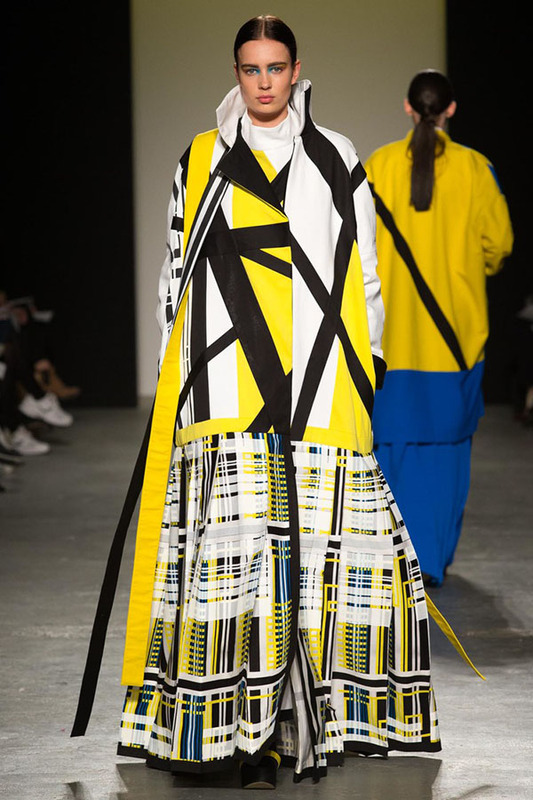 As is yearly custom, Westminster University kicked off the Graduate fashion season last night at the modern P3 venue in Marylebone. This year saw a new batch of super talented designers experiment and showcase their collections in front of a star-studded crowd. The fashion department at Westminster has seen ex-alumni such as Claire Barrows, Christopher Bailey, Katie Hillier, and Louise Aslop become established designers of some of the worlds biggest fashion powerhouses throughout the years. Womenswear collections were all powerful and confident in the use of material and colour selections. 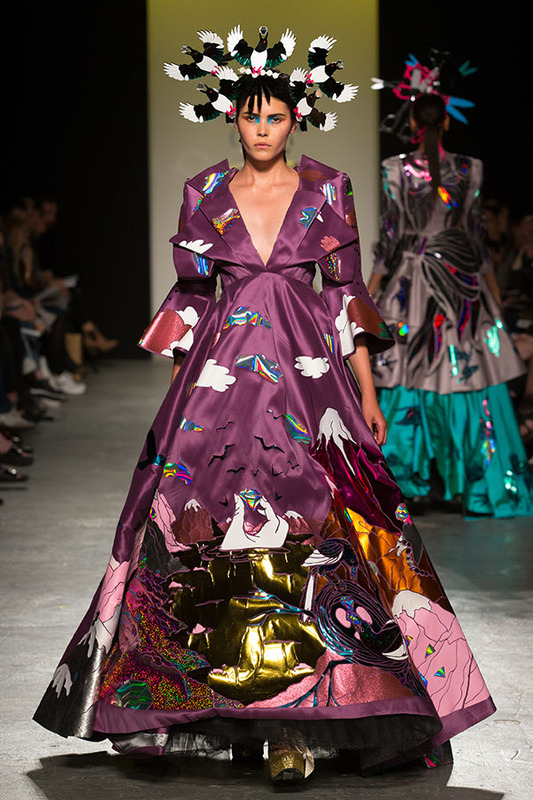 Mary Benson, who’s clothes have already been worn by the likes of Rita Ora, Brooke Candy, and Paloma Faith amongst others, created a bright ethereal collection. 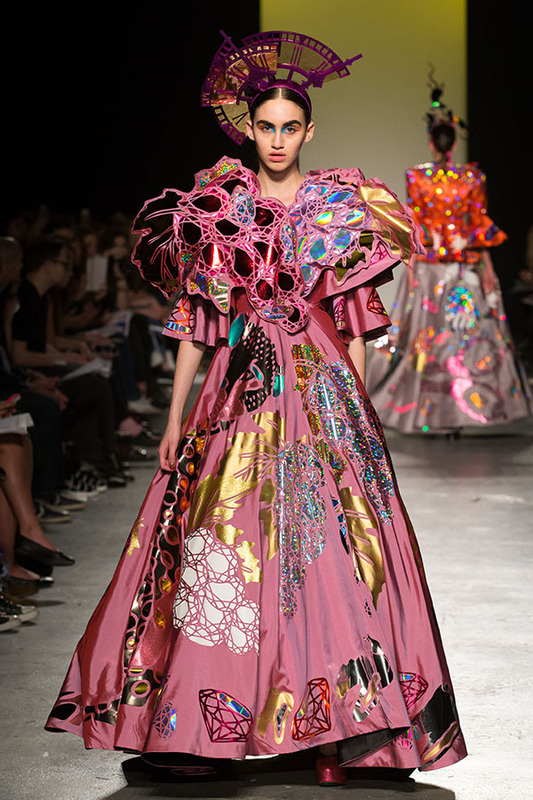 Her fairytale princess like dresses were full of life and inspired by Kate Bush, psychedelia, and dreams. 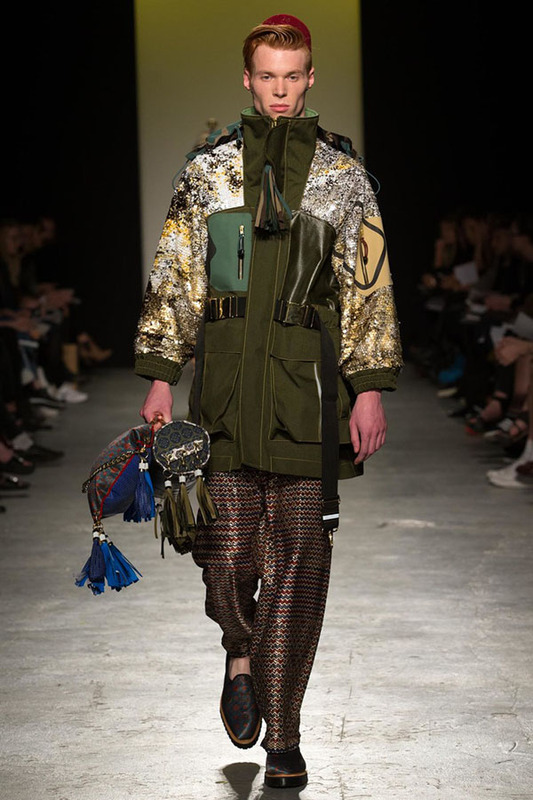 The theatrical garments were accompanied by mental headpieces by Lara Jensen. Meanwhile Valeska Collado and her entirely unconventional collection turned out one of the most eye-catching and interesting. 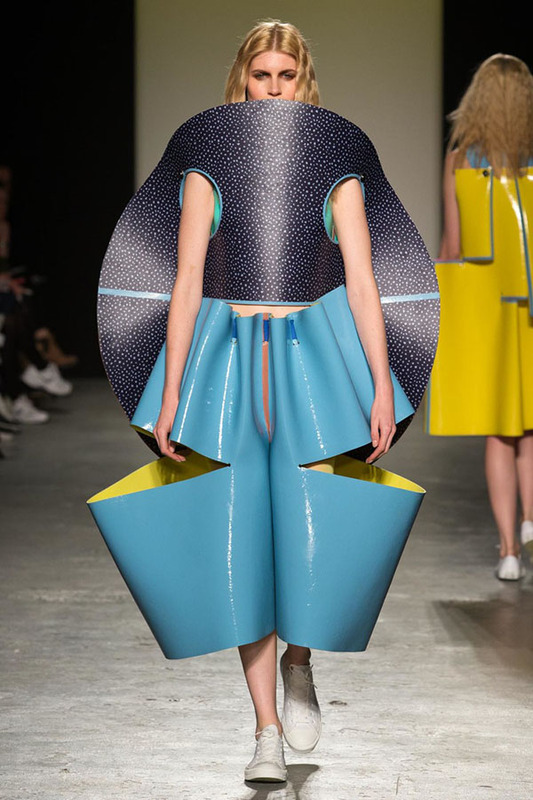 Not the most wearable, but definitely the most avant garde. It was playful and very well constructed selection of garments ready-made for editorial shoots. 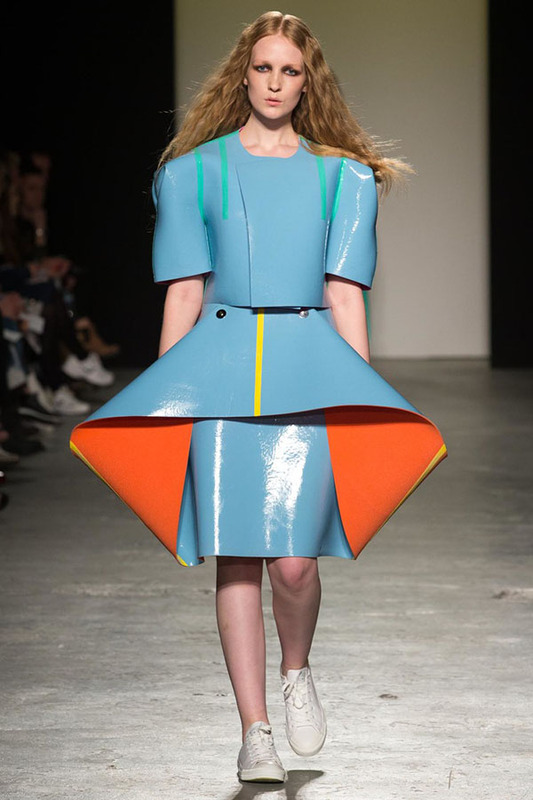 Folded and stapled chunky plastic in bright vibrant colours made beautiful almost cartoonish silhouettes. 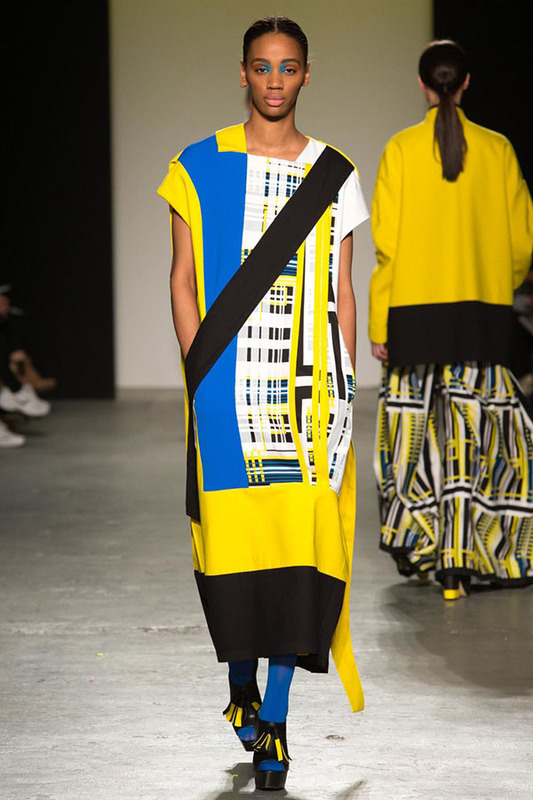 Gerogina Atkinsons showed a brave use of block colours and panelling in yellow, blue, and black. The bold colours were displayed in a variety of classic shapes and silhouettes, flared blocky high-waisted trousers, long flowing skirs, and interesting placement of pockets. 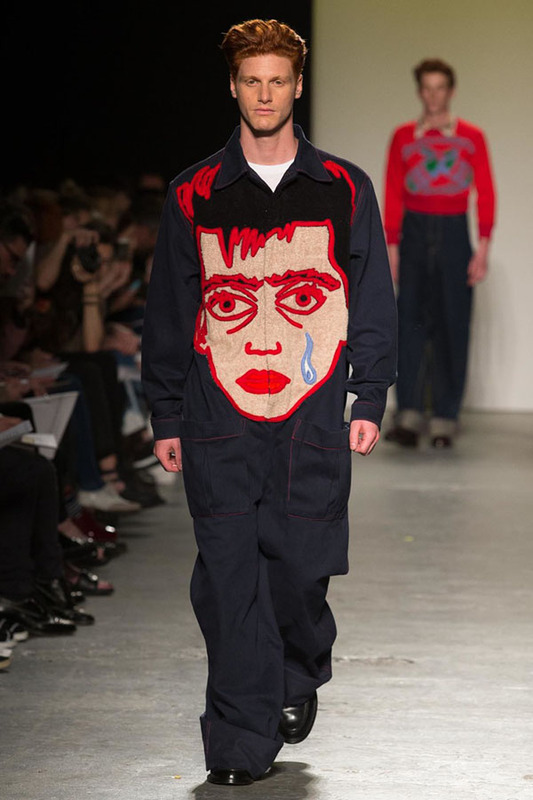 The menswear collections were particularly strong this year. 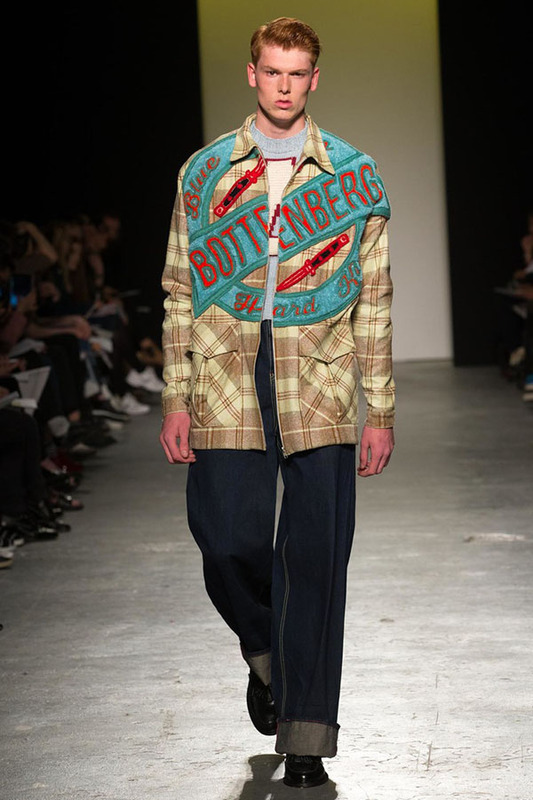 Alex Bottenbergs vision took us back to 1960’s American and showed us what a modern day John Travolta in Grease would look like. Aimed at ‘bad boys; it featured high waisted tartan trousers, denim jackets emblazoned with massive cartoon character, and the highlight a mechanics ‘onesie’. It was tongue in cheek and absolutely wearable. Adam Marc James ended the show on a high dazzling us with his golden sequinned bottoms and shoes, tassel heavy accessories, feathered headwear. 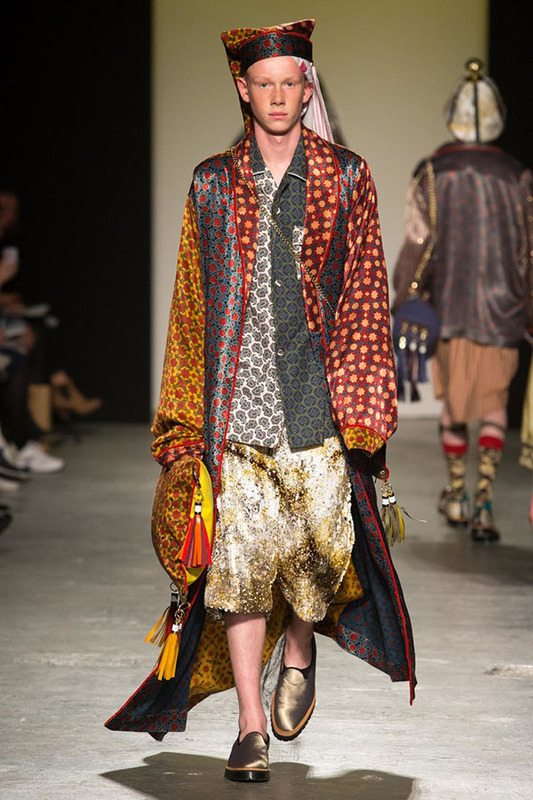 His take on Aladdin had an amazing ability to mix and match a variety of middle-eastern prints with European street wear and make it work perfectly.